Discover the secrets of Path to Pandora! I have read and accept the General Terms and Conditions and the Game Rules. I allow Travian Games GmbH to inform me about interesting news and game-related information. © 2004-2019 Travian Games GmbH. All rights reserved. The battle of the five tribes reawakens. Fearless Huns and industrious Egyptians once again join the Romans, Gauls, and Teutons in the struggle for supremacy. 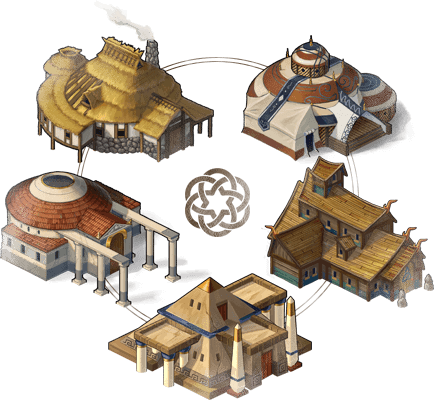 This is your chance to further explore all five fascinating historical tribes and their unique styles of gameplay! 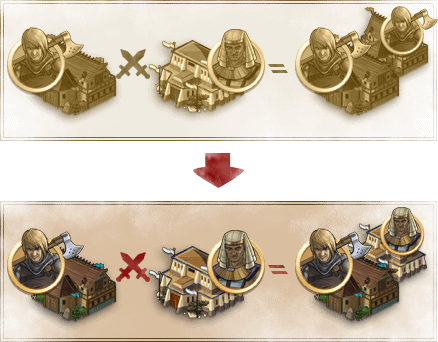 To enhance this experience, the buildings of each tribe now have their own distinct visual look. Dive into the world of ancient Rome, discover how the Teutons set up their homes and marvel at Egyptian architecture. But don’t worry about choosing only one tribe. On Path to Pandora, villages of other tribes that you conquer will stay as a village of that tribe. Nothing will be the same. Are you ready to relinquish old tactics and brave the path of uncertainty? The path leads back to ancient Europe. 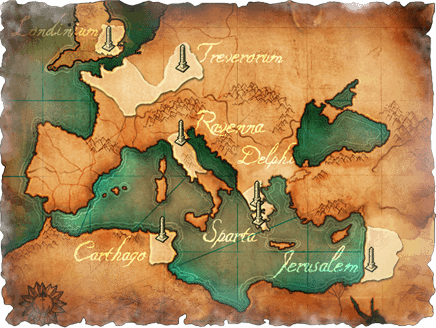 Lead your alliance on a campaign through historical regions and raise a new empire. Be the one to conquer Rome or extend the dominion of the Huns across the continent. It’s time to rewrite history.